Year: 1951 Item #: 795 Views: 3,411 Comments: No Comments. 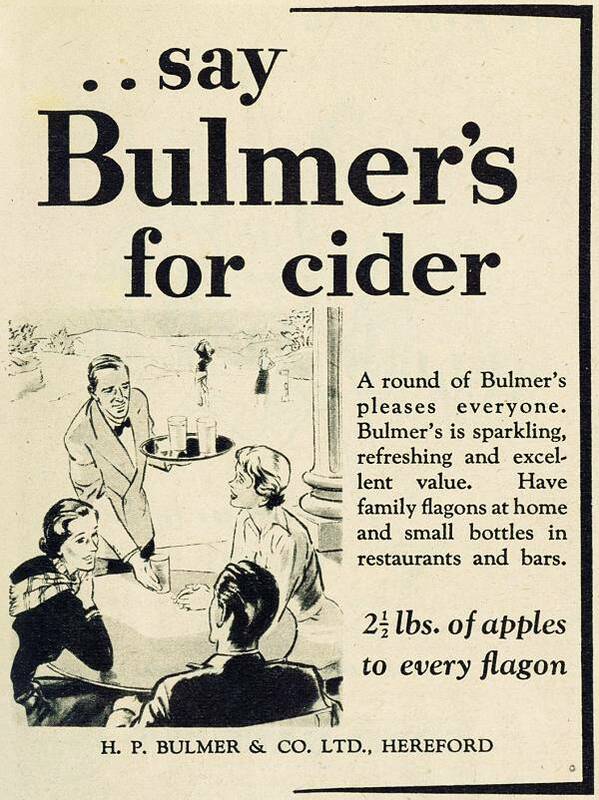 ..say Bulmer's for cider - A round of Bulmer's pleases everyone. Bulmer's is sparkling, refreshing and excellent value. Have family flagons at home and small bottles in restaurants and bars.